Featuring the same flexible dual-circuit switching and floating tremolo bridge as the original, the Deluxe Jazzmaster Tremolo is an affordable way to get started with authentic Fender sound and style. 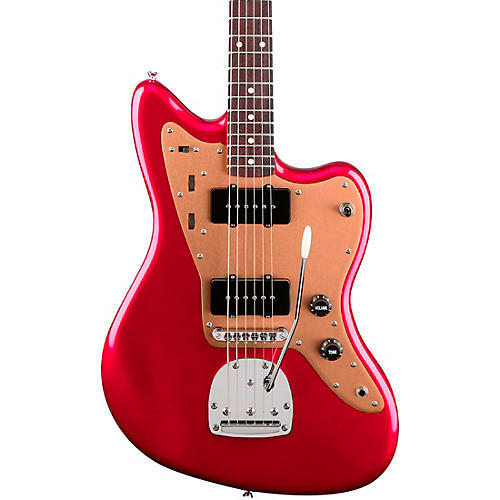 Sporting dual Jazzmaster single-coil pickups, an Adjusto-matic bridge with vintage-style floating tremolo tailpiece and a comfortable “C”-shaped neck profile, the Deluxe Jazzmaster is a way-cool instrument that’s ready to lend its voice to your music. Case sold separately.